As the Formula 1 tour visits Montreal's Circuit Gilles Villeneuve, it remained to be seen if the Canadian crowd would witness the same scene which six other countries have seen in 2011. In Formula 1 qualifying, it appears that the status quo of the 2010 Formula 1 World Champion's continuing dominance is in force. Needing only to run 17 laps around the Circuit Gilles Villeneuve in his Red Bull-Renault, German's Sebastian Vettel claimed his 6th pole position for 2011 in the Formula 1 series. Though the end of qualifying session resulted in a familiar outcome, a pole battle for the 2011 Canadian Grand Prix was something unique to this Formula 1 season. 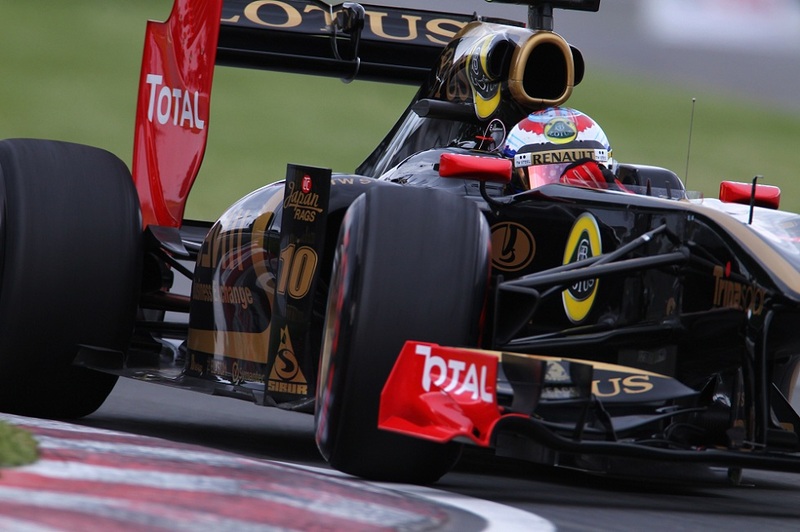 Through Q1 and Q2 sessions, it was the Ferrari team cars that made their strongest showing of the year. In the first session, Fernando Alonso was the top man on the time chart with a run of 1 minute, 13.822 seconds (the first driver to break the 1 minute, 14 second barrier in qualifying). In the second qualifying round, Alonso's teammate shot to the lead at the end of Q2 session. A collectively impressive effort, the Scuderia Ferrari team was unable to hold off the fast Red Bull Racing car of Sebastian Vettel. Lapping Circuit Gilles Villeneuve in a fastest time of 1 minute, 13.014 seconds in Q3, the German Vettel picked up almost a full second from the lap time he set in Q1. Under two-tenths of a less slower than Sebastian Vettel's Red Bull-Renault, Fernando Alonso earns his first front row starting spot of the 2011 Formula 1 season. Felipe Massa is start third on the grid with his Ferrari. The fastest laps of the two Ferrari cars were separated by just 18/1000th of a second. Showing speed throughout the Canadian Grand Prix race weekend, Scuderia Ferrari has a target set for the top honours in Sunday's main event. Vettel's teammate will start 4th Sunday beside Massa completing the full presence of Red Bull Racing and Ferrari in the first two rows of the 2011 Canadian Grand Prix. The next rows have Mercedes-Benz engined vehicles from McLaren F1 and Mercedes GP occupying the grid positions. Lewis Hamilton starts inside of Nico Rosberg with Jenson Button and Michael Schumacher just behind. Completing the top-10 in qualifying is the Lotus Renault GP cars. 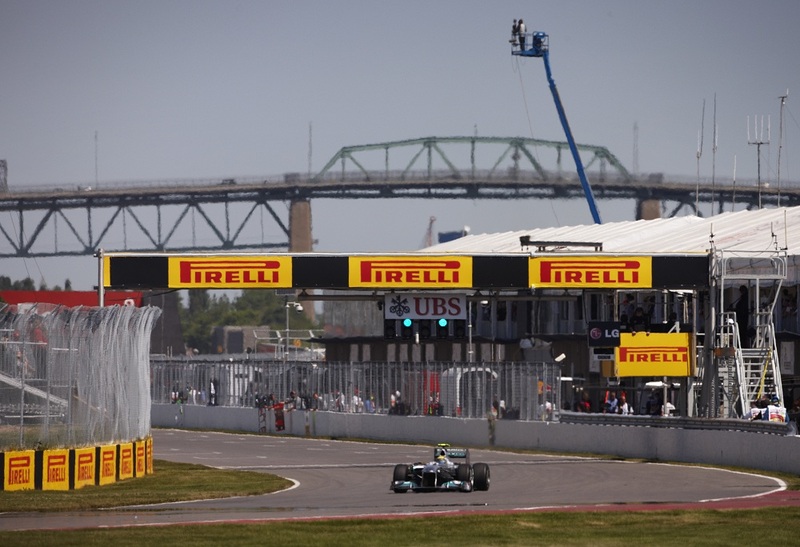 With the race starting at 1 pm Eastern time, 24 cars will compete in Sunday's Canadian Grand Prix. While Jérôme D’Ambrosio didn't meet the 107% rule in qualifying, the driver and Marussia Virgin-Cosworth have been permitted to race by Formula 1.